Catamenial Epilepsy: What is it, and what can be done about it? Catamenial epilepsy is not a specific type of epilepsy or type of seizure. The term simply refers to a situation for women with epilepsy who are of reproductive age who have seizures in association with their menstrual cycle. Therefore, the term catamenial seizure exacerbation is a preferred term, since any type of seizure or form of epilepsy may show an association with “that time of the month” in women whose seizures are not controlled. Sometimes, women with epilepsy achieve complete control of their seizures, with all other seizures stopped except those occurring in association with menses, or they may experience a very limited version of their usual seizure type occurring at specific times of their cycle. The most frequent time of catamenial seizure exacerbation is in the two or three days prior to menses that may continue into the first two days of the onset of menstrual bleeding. The second most commonly reported time is at ovulation, approximately mid-cycle, and the least common type is for the entire 14 days prior to menses. How many women with epilepsy are vulnerable to seizures in association with their menses? It is probably about 30% of women with epilepsy overall. The exact figure is difficult to determine, since seizures must be documented in a diary that also includes documenting menstrual onset, so that the association can be clearly identified. Women may think that their seizures have a menstrual trigger but after such information is carefully reviewed, there may be no association. On the other hand, an association with menses may be present, but go unnoticed until a diary is kept and evaluated. The current number of seizures to support the occurrence of a catamenial seizure association is twice as many seizures in the few days surrounding menstrual onset, in the 4 days surrounding ovulation or in the second half of the menstrual cycle compare to the other days of the month. The reason for seizure occurrence in association with menses is thought to be due to the influence of the two main female reproductive hormones on brain excitability. These effects are important for women with epilepsy, especially for the one third of women who are especially sensitive to normal hormonal changes across the menstrual cycle. Estrogen and progesterone have opposite effects on the brain for seizure occurrence. Women who do not have epilepsy are not at risk for seizure occurrence in association with menses. Estrogen tends to be excitatory in the brain and promote seizures for women with epilepsy, along with all the other beneficial activities it promotes in the brain, notably neuroprotection and cognitive preservation. Progesterone acts on the inhibitory neurotransmitter sites in the brain, to reduce brain excitability and therefore suppress seizures. The decline of progesterone that occurs normally in the day prior to the onset of menstrual bleeding is likely a major contributor of seizure exacerbation for the most common, perimenstrual catamenial seizure exacerbation. The marked, sudden rise in estrogen in the blood and brain at midcycle, at ovulation, is likely promoting seizure occurrence at this time of the month, explaining the second most common type. Some menstrual cycles are abnormal, with high estrogen and low progesterone for the two weeks prior to menstrual onset. These are cycles during which ovulation does not occur and also are those for which seizures may be permitted for the 14 days prior to menses. Catamenial seizure exacerbation is diagnosed using seizure diaries. Careful documentation of several months of seizures and menses, followed by review with the physician and/or care-giver team should determine if a catamenial seizure pattern is present and which type or types. What can be done after a clear catamenial pattern for seizure occurrence is identified? Catamenial seizure exacerbation is real, with menses as a trigger for seizure occurrence in a woman with epilepsy. Therefore, if menses are stopped, as can occur with menopause, pregnancy or with the use of birth control that stops menses, catamenial seizures may improve. Seizures at other times of the month may not improve when menses are stopped, however. It is important that thoughtful, appropriate anti-seizure treatment should be on board before specifically targeting treatments for catamenial seizure exacerbations. For women with epilepsy, menstrual cycling is not the underlying cause of seizures but rather another trigger similar to sleep deprivation. Optimal treatment for suppressing seizures in general should absolutely be undertaken, whether it is medication or epilepsy surgery. Since pregnancy and menopause are not reasonable options for treating catamenial seizure exacerbations, we turn to medications. 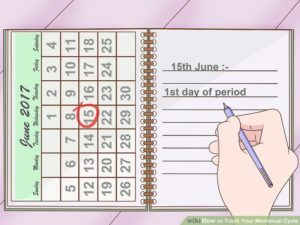 If menses are regular and their onset can be predicted by counting forward from the day of last menstrual bleeding, an intervention can be planned. The medication intervention may be targeted to start several days before menstrual onset with the perimenstrual pattern, or at 14 days before menstrual onset as occurs with the ovulatory pattern, or second half of the cycle (luteal phase) pattern. The intervention may be a brief course of a low dose benzodiazepine, such as lorazepam, clobazam or diazepam at these times. Another approach may be, depending on the usual antiseizure medications taken, that one of these meds may be increased at the vulnerable time in the menstrual cycle. Using a hormonal approach, such as augmenting the antiseizure reproductive hormone, progesterone taken by mouth, has not been shown to be effective, except for seizures that are exquisitely perimenstrual, that is when seizures occur three times more often at this time of the month. In this situation, natural progesterone in the form of Prometrium at 200 mg three times daily may be considered, starting at 14 days prior to menstrual onset, and tapering off over two days after menstrual onset. For women with epilepsy whose menses are not regular, it is difficult to sort out an intervention to take in anticipation of the timing of catamenial seizure exacerbation. Depo-medroxyprogesterone acetate (Depo-Provera) is a form of birth control given by injection every 12 weeks, and will stop menses in general. Therefore, it is an option for women with severe catamenial seizure exacerbations. When this intervention produces cessation of menses, as it often is, seizures may improve. 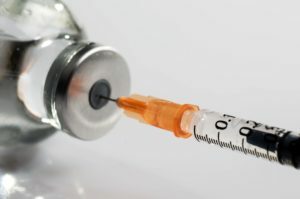 Some experts have stated that Depo-Provera should be given every 10 weeks for women with epilepsy so that the effect does not wear off prior to the next injection. There are drawbacks to this approach as well, including a black box warning regarding a risk of bone loss, and a prolonged reversal of its effect, up to a year before menses may start up again after treatment. Other forms of birth control have not been shown to have any reliable effect against catamenial seizure occurrence. Women with epilepsy are not imagining that their seizures occur in association with menses; many times there is a relationship and it should be documented and evaluated by the health care team. There are clear biological underpinnings to explain this relationship, based on the activity of female reproductive hormones. 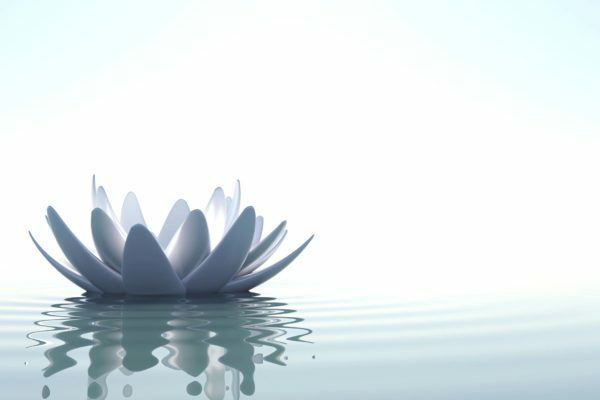 The treatment approaches other than stopping menses altogether are not very satisfying at this time, although some successes can be achieved with the interventions discussed above. The most proven strategies are those for treating epilepsy as aggressively as possible, while incorporating vigilance for reproductive health and the risk of teratogenesis. 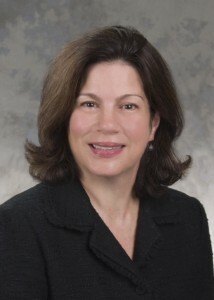 Dr. Harden is a Neurologist in New York that specializes in Women’s Health issues in Epilepsy. Dr. Harden has done years of research on epilepsy as well as helping her patients to live their lives to the fullest. In addition, she is a founding board member for My Epilepsy Story. This entry was posted in From The Experts, Health & Wellness, Helpful Epilepsy Information, Types of Epilepsy and tagged catamenial epilepsy, Epilepsy, epilepsy and cycles, Epilepsy and Fertility, epilepsy and girls, epilepsy and menstration, Epilepsy and Pregnancy, epilepsy and women, women and epilepsy, Women's Health.